For comparison again, of PS4 and Xbox One owners, 29% fell into the 24 and under range for both systems. 27% of Wii U owners were under 24, and a whopping 38% of 3DS owners. At the moment, the Nintendo Switch is sitting closer to its console competitors, but the numbers may shift again if Nintendo ends up phasing out the Nintendo 3DS and offers a more kid-friendly Switch option. In addition, early adopters of the Nintendo Switch tended to spend more time gaming per week (59% spent 11 hours or more), while now the split of time gaming is far more even between 1-5 hours, 6-10 hours, and 11+ hours. 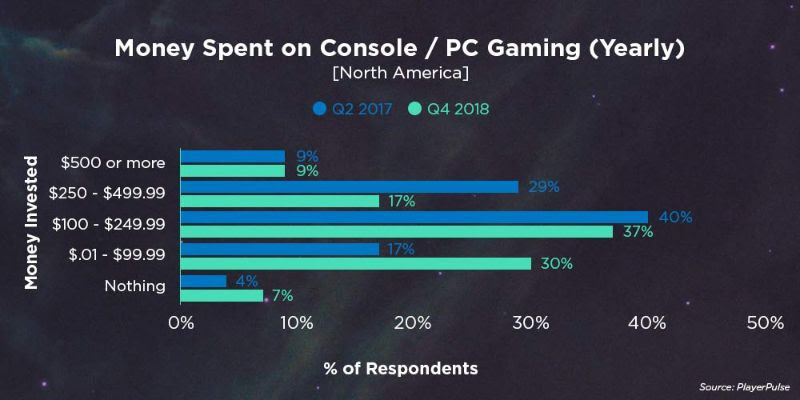 Finally, 40% of early adopters spent between $100 and $249.99 per year on console/PC gaming per year, and were more likely to spend up to $499.99 per year. 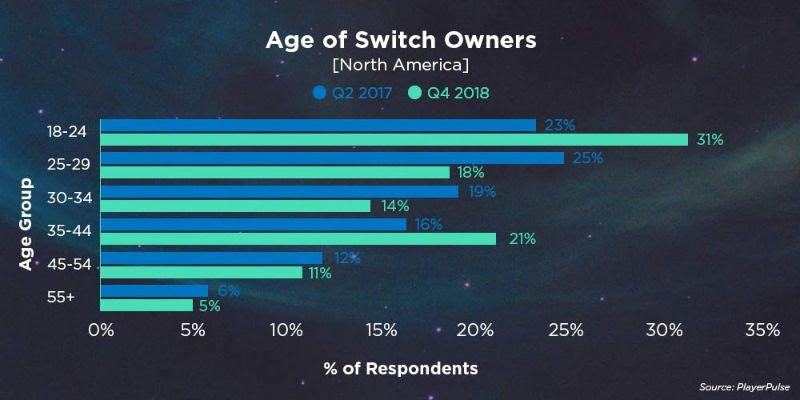 The current breakdown of Nintendo Switch owners sees 30% in the $.01 to $99.99 per year group, but still 37% in the $100 to $249.99 group, indicating that as a steady average spending range for Switch users.